ITTA BENA, Miss.— Mississippi Valley State University President Dr. Jerryl Briggs has announced Dr. Elizabeth Evans as the Interim Vice President of Academic Affairs. 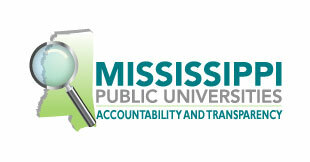 In this role, Evans will serve as the institution’s chief academic officer, overseeing the Office of Academic Affairs. As a member of the institution’s Executive and Extended Cabinets, she will also play an integral role in the overall management of the institution. Evans, who most recently served as the associate vice president of academic affairs, said she is humbled by the opportunity to serve. “My experience in the military and the field of education have converged to prepare me for this executive administrative position. I embrace the opportunity and welcome supportive ideas,” she said. A 1975 graduate of Gentry High School in Indianola, Miss., Evans earned a Bachelor of Science degree in Mathematics from Mississippi Valley State University, where she was commissioned as a Distinguished Graduate of the Air Force Reserve Officer Training Corps (AFROTC) program (1979). She also earned a Master of Arts Degree in Public Management from the University of Houston-Clear Lake, Texas in 1986, and a Doctor of Philosophy Degree in Public Policy and Administration from Mississippi State University in 2012. She is a 24-year veteran of the United States Air Force, where she spent the first 20 years of that time in the “Space Operations” career field working with satellites and their role in the defense of the United States of America. The remaining four years were spent recruiting, educating, training, motivating, and selecting college students for military service. Her years of active military service and specialized training are foundational pillars for her experience in leading various technical, operational and research/study groups, leading various groups and projects, managing organizational budgets, and developing and implementing organizational policies. She retired as a Lieutenant Colonel in November 2003. Evans joined the Mississippi Valley State University faculty in the fall of 2003, serving in the Social Sciences Department. 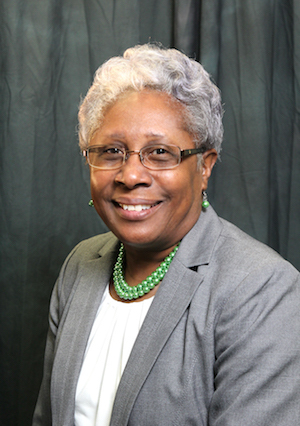 Her service included teaching as well as membership in and leadership of various university and departmental committees, academic program coordinator, program internship coordinator, membership in and leadership of the MVSU Faculty Senate, and acting department chair. She began serving as the associate vice president of academic affairs in Feb. 2017. Her tenure included developing and implementing policies, procedures and practices designed to ensure effective delivery of academic programs at the undergraduate and graduate levels. Among her responsibilities were planning and supervising the improvement of academic programs and faculty development, collaborating with department chairs and faculty to implement the Quality Enhancement Plan (QEP), communicating and advancing the mission and core values of the University by ensuring that Academic Affairs has positioned the University’s academic programs to carry out such, and collaborating with senior leadership in the periodic review of academic programs to monitor the Institutions of Higher Learning (IHL) program productivity. Evans’ primary interest is in student achievement. She believes that teaching is more than the giving of information; it is working to ensure learning takes place. Evans is the mother of two children, Constance Caesar and Lawrence Caesar, and one granddaughter, Caitlyn Caesar.